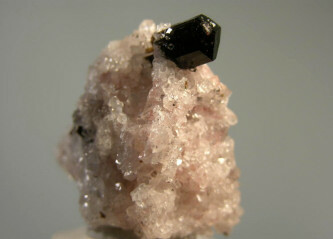 There are 189 minerals priced at between $100 and $499. 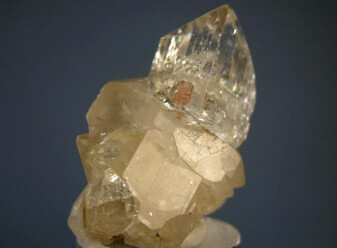 A water clear, lustrous and textbook 2 cm topaz crystal with an inclusion of a bright orange sphene crystal sits on a matrix that consists of a doubly terminated quartz and another incomplete topaz. Super! 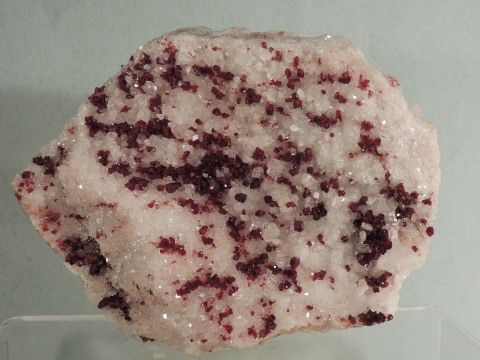 Deep lustrous red prismatic crystals of uvite contrasting very nicely against a matrix of clear to white magnesite rhombs. 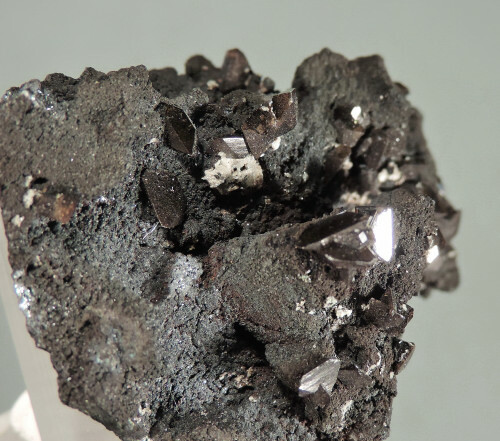 Elongated (not the typical tabular crystals) reddish lustrous prisms of uvite to 1.2 cm on a pinkish matrix of magnesite crystals. Very pretty! 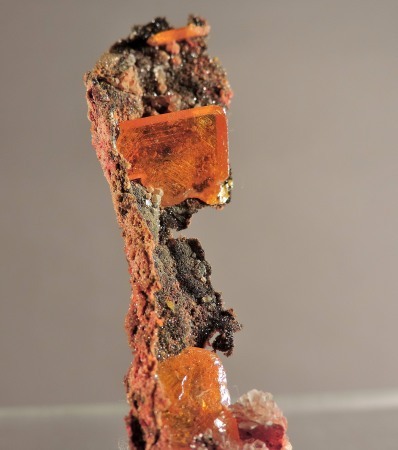 Dark, striated lustrous crystals of wulfenite on a matrix of black tennantite. 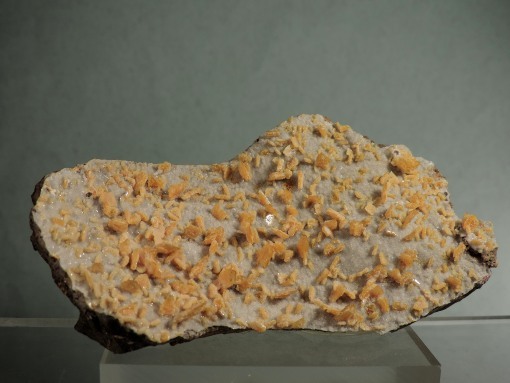 Very sharp, bright yellow wulfenite blades averaging 4 to 5 MM, are coated and also sit on a matrix of white calcite prisms. Sweet! 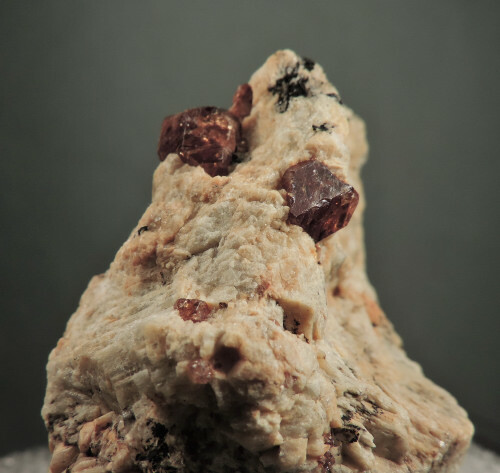 A very sharp TN specimen of the rare yttrium phosphate xenotime, with excellent luster and a pleasing medium brown color. What makes this TN even even rarer is the fact that we have two crystals in parallel growth (don’t think it’s a twin) which is very unique since most of the time the crystals occur as singles. Super TN! 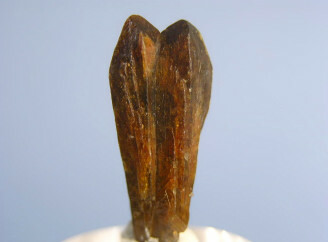 Sharp and lustrous brown crystals of zircon on matrix. Cannot say much about this locality and Zircon is not even listed from there. Ex Gilbert Gauthier Coll. and has three additional older labels. 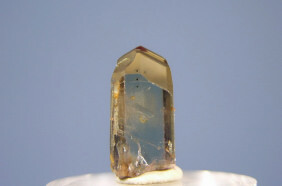 A very gemmy zoizite crystal (this one has been treated like all tanzanites are) with a wonderful termination, excellent luster and the trichroic color change. There is a microscopic ding on one side of the C face, otherwise it is a perfect and facetable TN!